Collection / Sketches that Became Paintings	/ Correo, San Miguel de Allende. Correo, San Miguel de Allende. 2018. Watercolour on Arches 140lbs watercolour paper	,	8" X 6"
I have painted this road several times and am always intrigued by the change of light quality and colour. Feedback for "Correo, San Miguel de Allende." 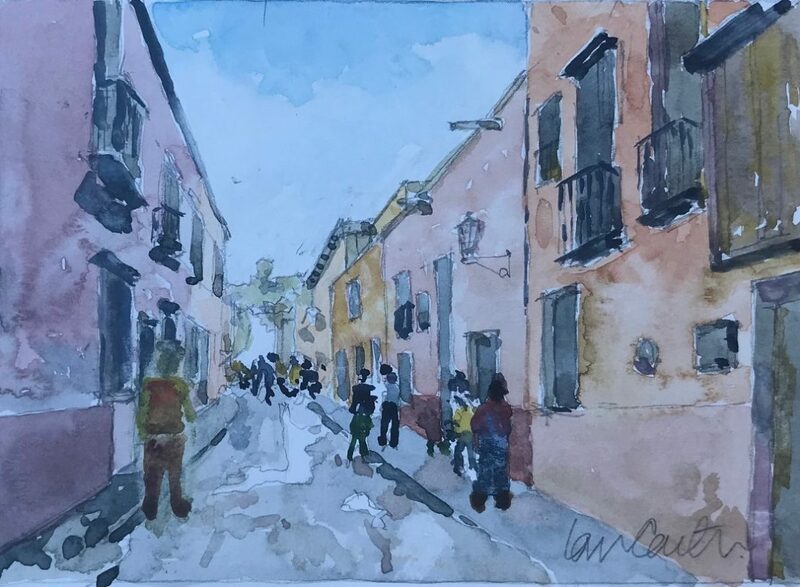 Purchase Inquiry "Correo, San Miguel de Allende."